When I first learned about chilled, fruit soups, I was not inclined to give them a try. It was just too weird. However, my opinion has changed! They can be a delicious addition to brunch, a wonderful appetizer, or even a light dessert. I think this recipe would be perfect served in shooter glasses as an appetizer at a garden party. It's also super easy and great for weekend cooking! Blend the strawberries until pureed. Pour into a bowl and stir in the half & half, sour cream, sugar and lemon juice. Chill until serving. 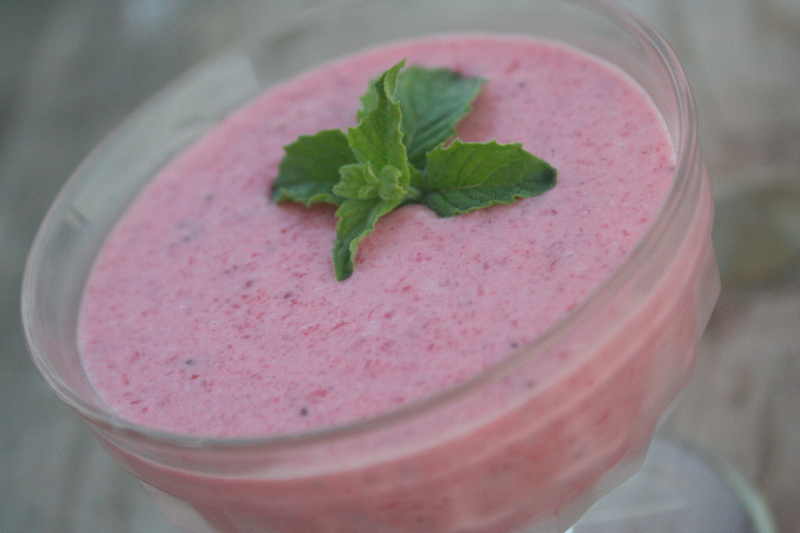 Top with fresh mint or strawberries if desired. Serves 4. One of my favorite soups is cold watermelon soup! This looks delicious as well.